All three United States Mint locations of the 1920s were back on board in striking the Lincoln Wheat Penny again as of 1924, though mintage figures were still low overall. 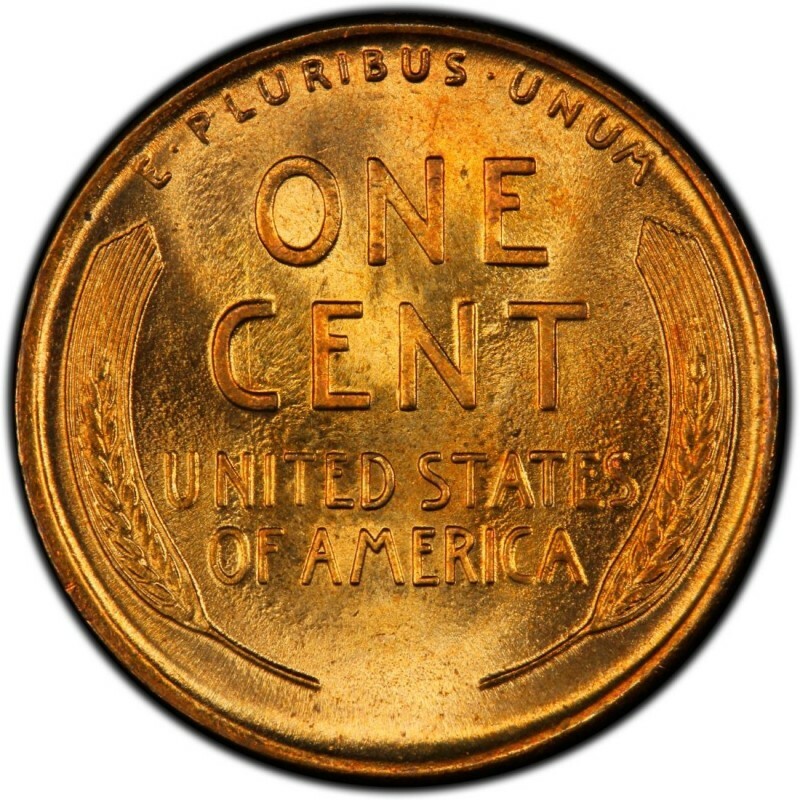 In fact, 1924 saw another of the great semi-key Lincoln Cents – one that is right on par with the ever-scarce 1911-S in terms of scarceness, overall toughness, and price: the 1924-D (Denver) Lincoln Cent. With only 2,520,000 struck, the 1924-D (Denver Mint) Lincoln Penny is indeed a scarce coin for collectors, and this fact is reflected in high pricing across the grading spectrum for this coin. Get ready to drop a minimum of $40 on a low-end circulated 1924-D wheat cent – and more than $500 if you can even locate a Brilliant Uncirculated example. 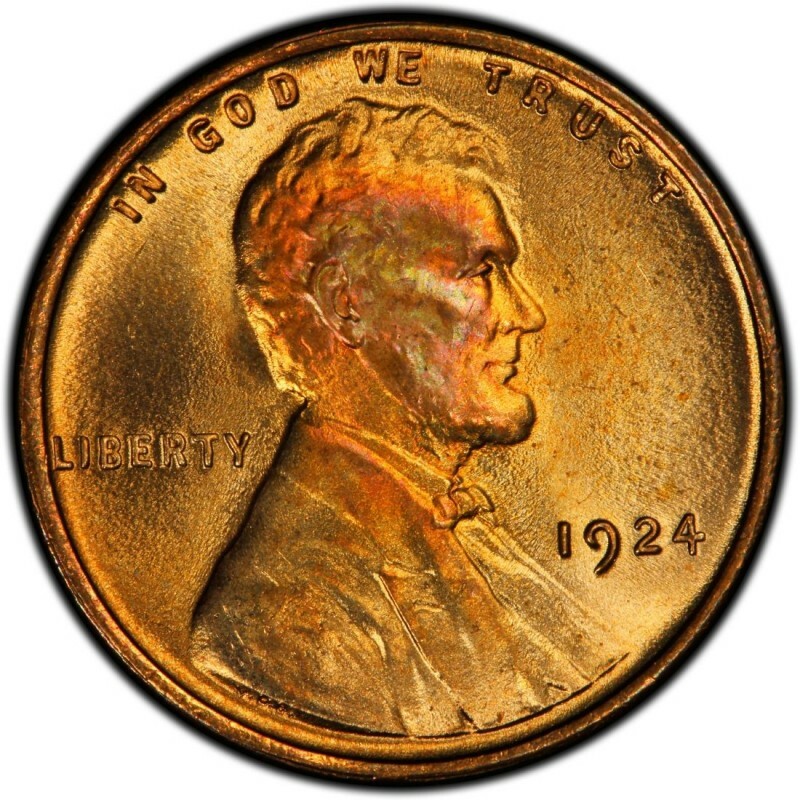 No doubt, the 1924-D Lincoln Cent is one of the toughest regular-issue 1920s Lincoln Wheat Penny coins, and presents a real challenge to anyone who wants to buy one. Thankfully for coin collectors on a budget, the 1924 (Philadelphia Mint) and 1924-S (San Francisco Mint) issues are much less costly than the 1924-D. The 1924, with 75,178,000 pieces struck, can be had for as little as 20 cents in the circulated grades, while a 1924-S Lincoln Penny costs just $1 in Good-4. There were no other major attributed varieties in 1924.